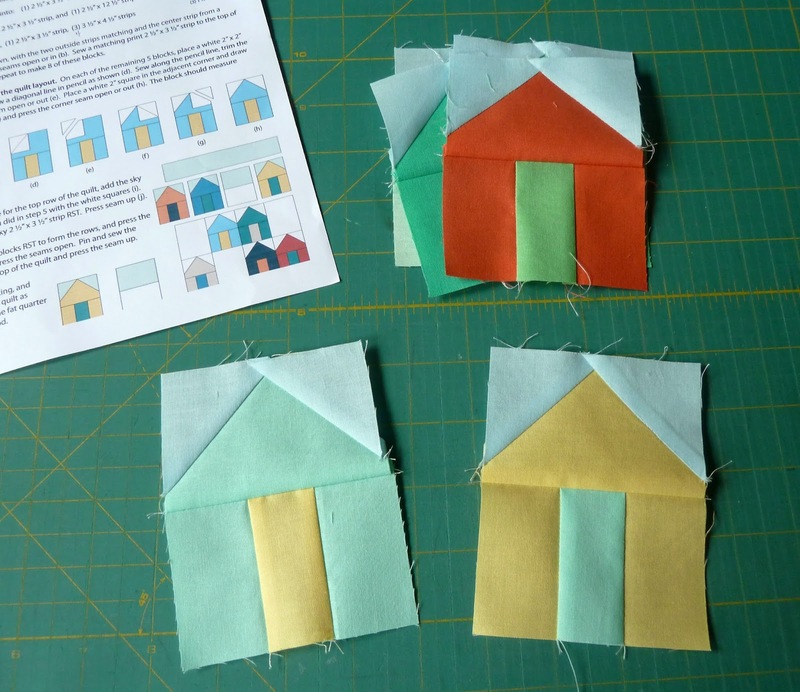 I got off to a slow start with the May is for Makers campaign. I did buy the pattern and pull fabric to make some Lakeside Pajamas... I just never made them. 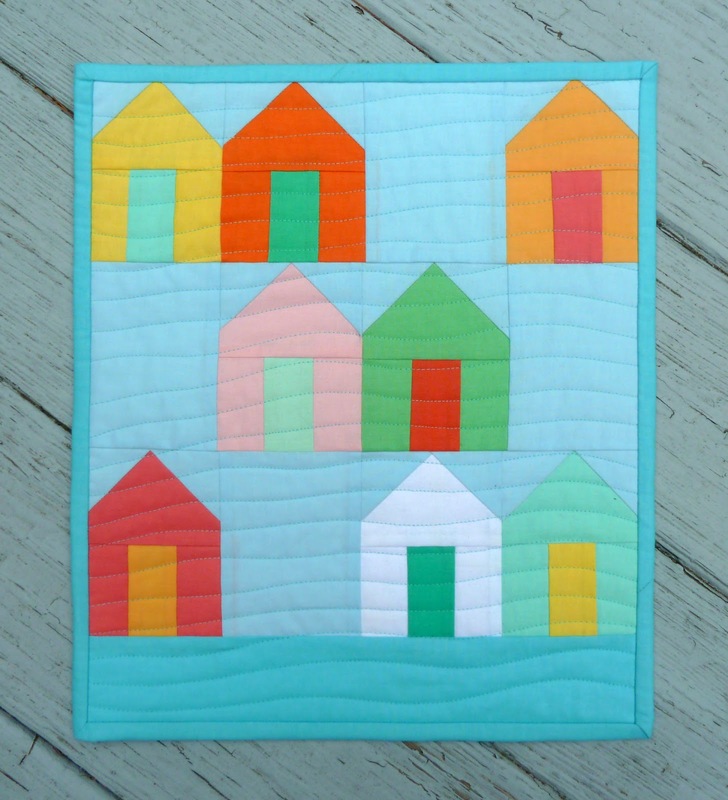 This week I wanted to do something quilty so I purchased this collection of Mini Quilts by Cluck Cluck Sew. 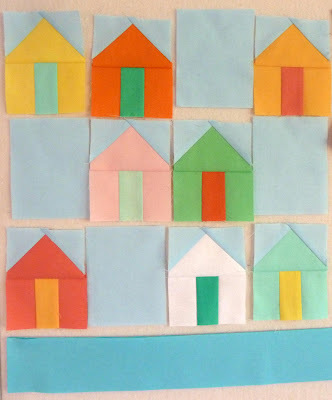 I'd had an idea for a Florida Keys inspired house quilt ever since I saw the awesome Seacoast MQG QuiltCon Charity quilt so now seemed like a good time to experiment a bit. I went a little crazy pulling a stack of solids. The pattern has you make 4 fabric pairs so from each set you get 2 houses with the colors inverted. I ended up making 8 pairings so I used each color combo once and I have enough left over for a second mini. Of course I couldn't just stick to the pattern and since it's supposed to be an island I swapped the sky at the top for some ocean on the bottom and used the same Carribean blue for the binding. 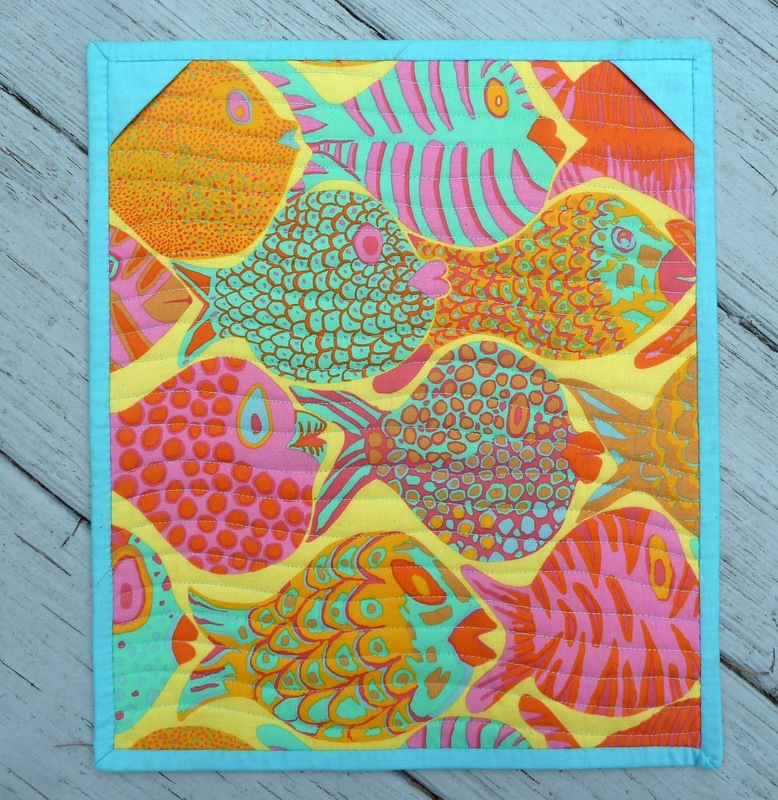 After I'd pulled my fabrics I spotted this awesome fishy print in the fabric graveyard on my way out of Quilter's Way. It's like it was meant to be!!! 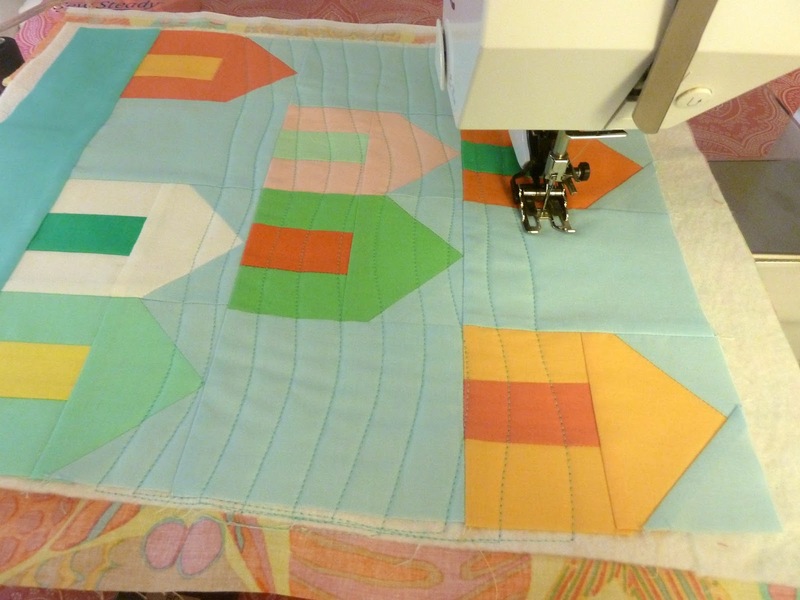 I love how the wavy quilting makes the fish swim. And since I have way too much time on my hands... a little freshly squeezed blood orange juice to remind me of home. 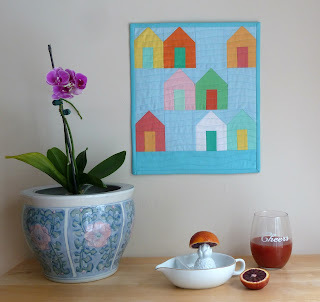 Stitching along with this week's Finish it Up Friday by Crazy Mom Quilts. Finished quilt is 12" x 14"
Pattern: Suburbs Mini by Cluck Cluck Sew. Fabrics: Michael Miller Cotton Couture: Cloud, Carribean, Tangerine, Sprout, Shell, Mango, Seafoam, Canary, Love, Mist, Coral, Pastille, and Lemon. FSDS McCaw. Backing: Brandon Mably Shoal Fish Yellow. Batting: Quilter's Dream Request Poly. Thread: 50 wt. Aurifil in Light Turquoise (5006). Love you mini! It turned out great! It does have a Key West feel. I love it. Great job! I love the colors you used in this, it really does feel like the beach! Great finish! So sweet! Home is Florida Keys??? That's wonderful!